Vivid Sydney, now in its seventh year, is recognised as the largest creative arts event of its kind in the world. The calendar combines music, light and ideas, and promotes Sydney as an artistic hub in Asia Pacific where art, technology and commerce intersect. 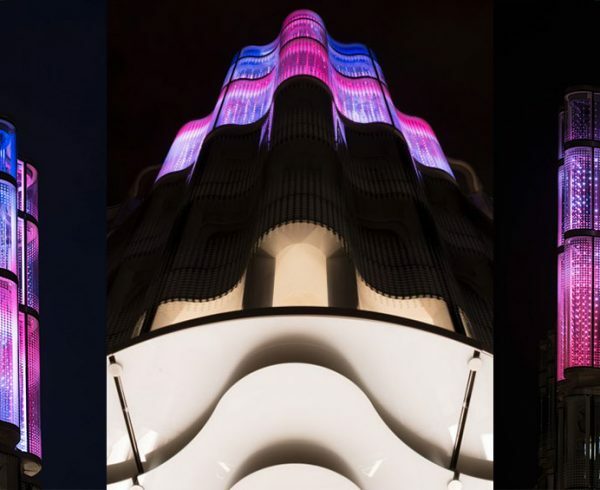 The comprehensive programme features large-scale lighting installations and projections across many of Sydney’s celebrated landmarks. This year Pharos and Philips collaborated to create a striking art installation known as The Tree of Light in Sydney’s The Rocks area to bring nature to life with light. 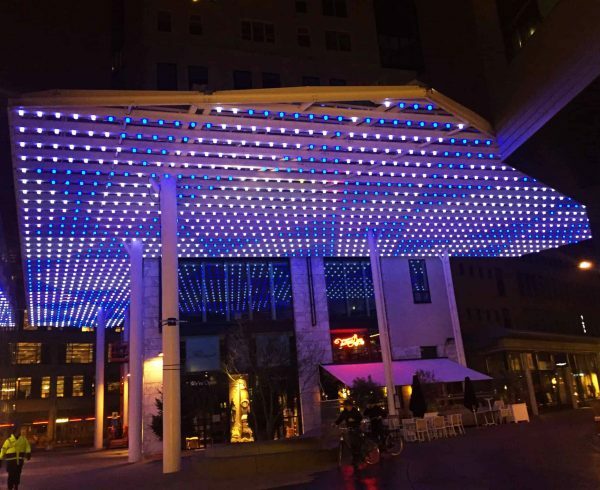 A Pharos LPC X was programmed to control more than 5,000 individual Philips ColorKinetics ColorFlex LED light points. These created an organic web of digital light to produce a unique interactive visual experience to transform a natural environment into an art form through the use of movement and colour.